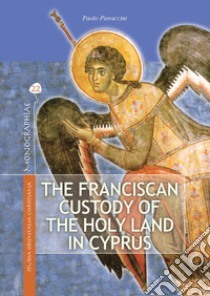 In his latest book Dr. Pieraccini makes a major contribution not only to the annals of the Franciscan Order but also to the history of Cyprus, a Greek-speaking island off the coast of Turkey that had long provided port facilities for trade with the East and that was an important staging post on the sea route for pilgrims to the Holy Land. After the waning of the Crusades at the end of the 13th century it became “the most important Christian outpost in the Mediterranean”. Even so, Catholics – whether Latins or Maronites – never made up more than 1% of the overall population of the island. In essence this is a tale of survival against the odds over the centuries, thanks to the stubborn resilience of the Franciscan friars and the Catholic faithful, especially the Maronites, in the face of great human and natural adversity. Among the perennial challenges the Order faced were those of a shortage of water, barren soil, “bad air” – malaria – a poor climate, and the hostility of the majority population of Greeks and Muslims.